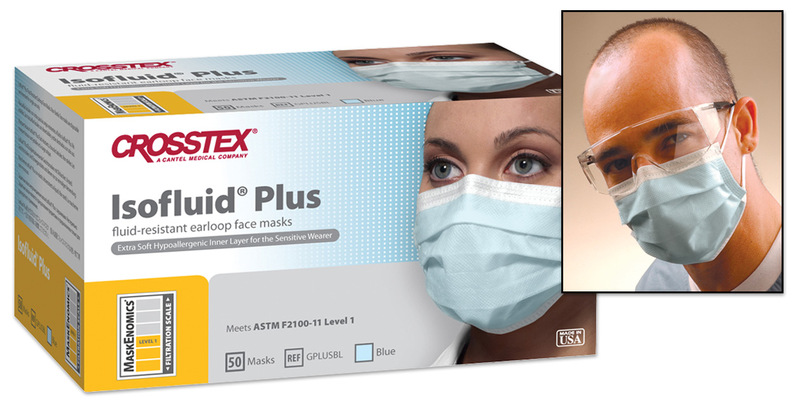 Crosstex ASTM level 1 protection. Fluid resistant outer layer, white hypoallergenic cellulose inner layer. Extra soft; will not lint.